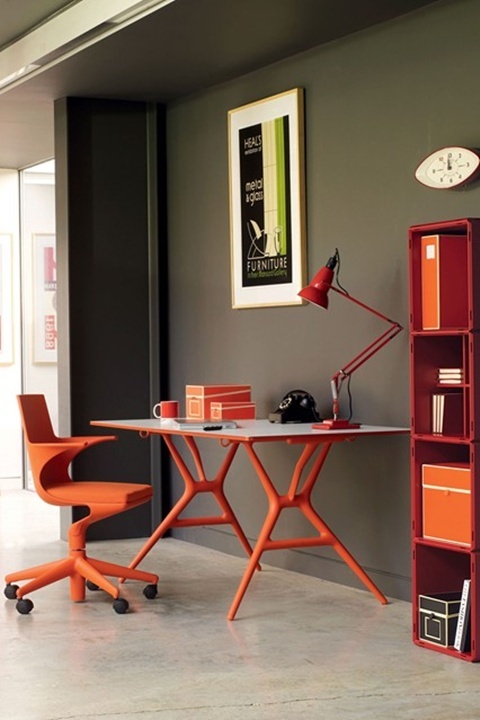 Your home office should look nice and energetic to stimulate you to work hard. Since lots of people are running businesses out of their homes so the home offices have become roughly as substantial as the kitchen and bedroom. 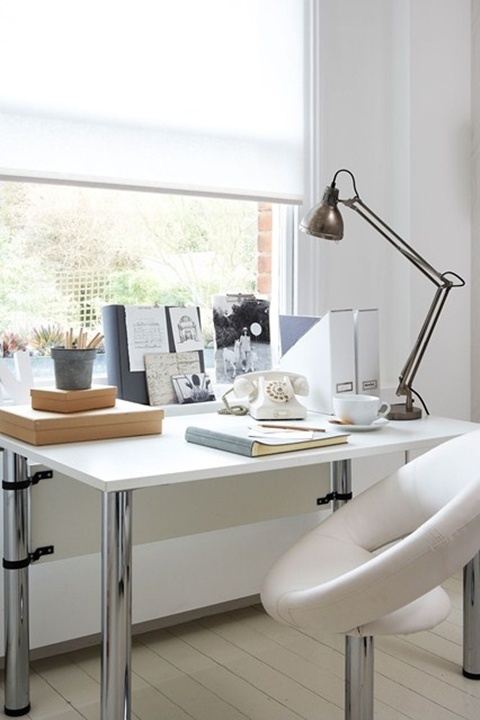 Here are some ideas that will surly help you to get a good mix of comfort and appeal in your home office. 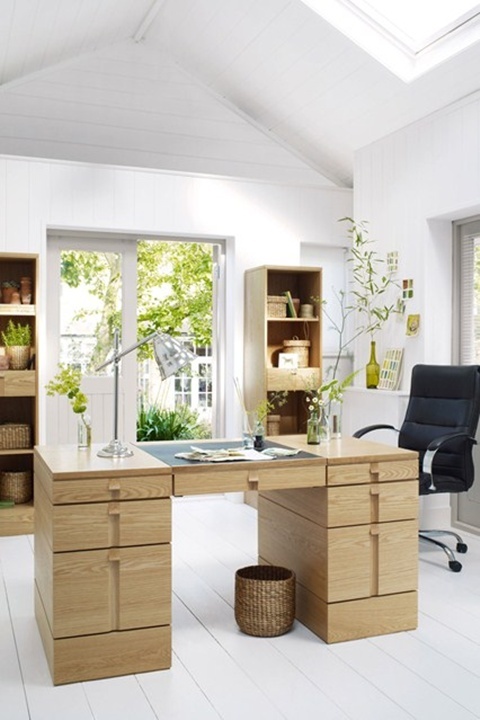 Nature is an effective element, so you should be sure there is enough sunlight in your room to enjoy working. 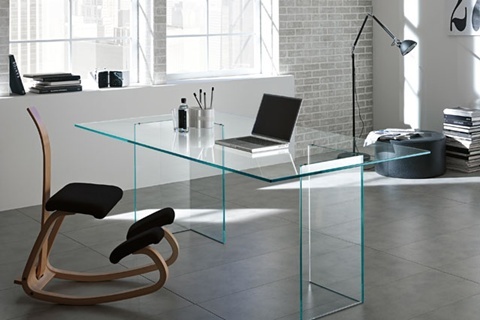 To get a sense of modernity, choose glass and metal materials for your desk, and metal cabinetry for your files. 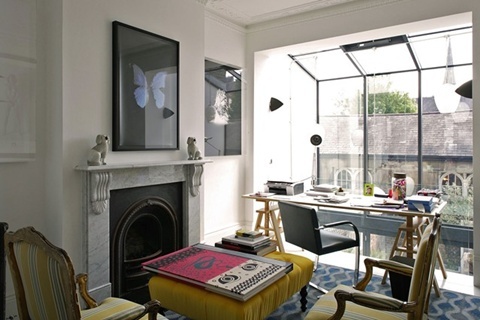 Lights are very important factor in your home office. The best lights for your home office are the overhead lights. But if you prefer lamps, consider a task lamp for your desk, a table lamp placed on a small table in a far corner, and floor lamps for remaining corners. 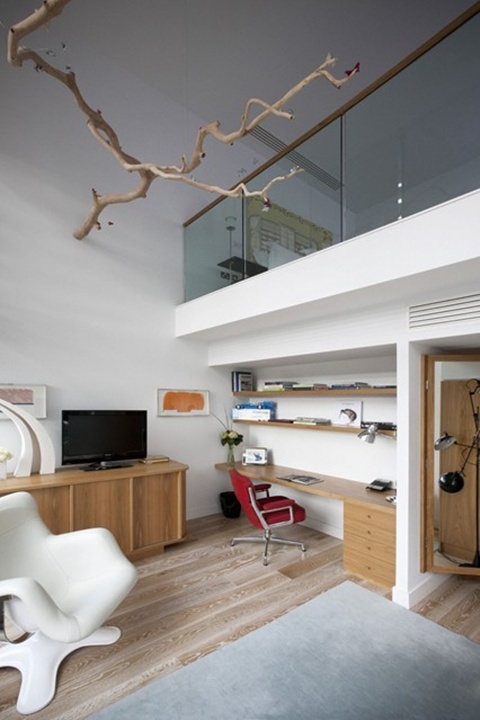 To make your home office more elegant, opt for wooden furniture. 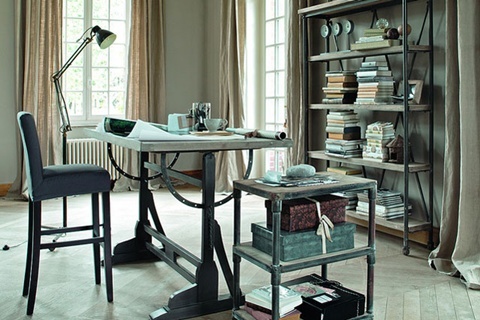 To save a lot of space, you should use a round, folding desk or built-in desk. You can also get an all-in-one printer that doubles as a fax and photocopier. For a comfortable home office, go for furniture that’s comfortable for working such as soft chairs, chairs with curved hands, French bergere chairs or small sofas and then find items that coordinate with it to round out the decor. Colors are influential in a home office, therefore to create an energetic ambiance, paint your home office walls with darker blues and greens. How to create an illusion of additional light? Simply, use a glazing technique after painting your home office walls. Finally, to gain more floor space, you can install overhead shelves and utilize vertical space of the room. 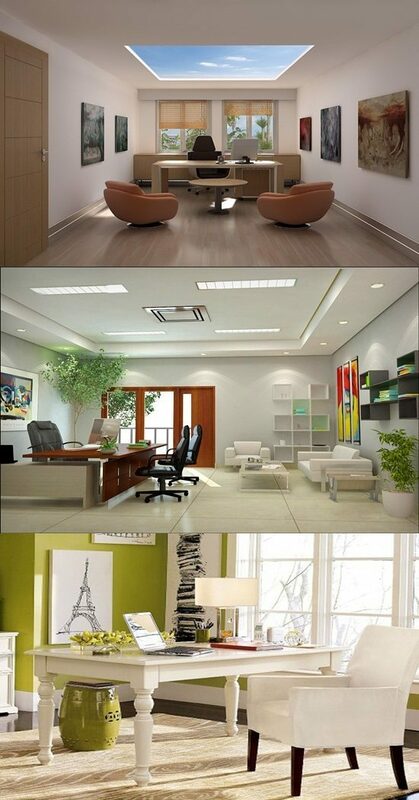 If you are searching for more suggestions about the perfect home office interior design, look at the images below.